Holocaust Awareness Series | Colorado Mesa Univ. Holocaust Awareness Week, held annually at CMU, is an interdisciplinary series of events and seminars that investigates various aspects of modern genocide. CMU's events roughly coincide with the commemorations surrounding National Holocaust Awareness Week. Our programs focus on the origins, events, and experiences of genocide in the modern era, looking not only at all of the groups systematically targeted by the Nazi regime in the 1940s, but also by those who were the victims of government-sponsored atrocities such as the Armenian Massacre, the Cambodian genocide, ethnic cleansing and genocide in Rwanda, Iraq, and the Balkan region, and the recent genocide taking place in the Darfur region of the Sudan. 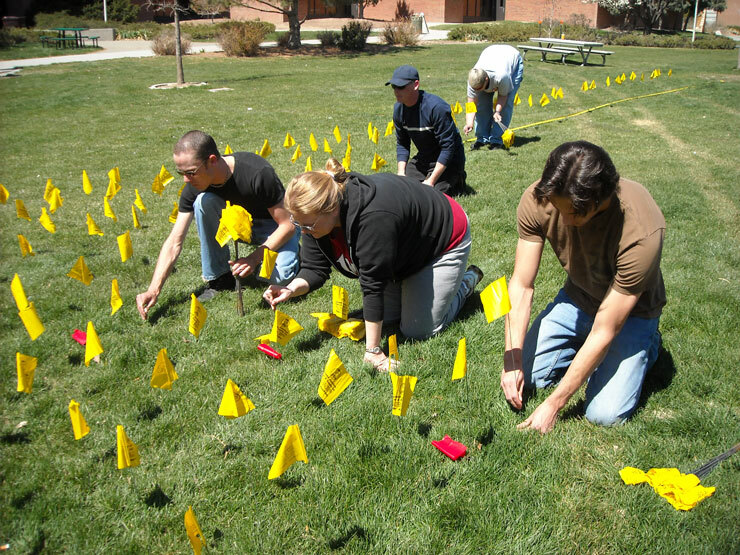 Students plant flags commemorating Holocaust victims on the CMU lawn. Each flag represents 10,000 victims. The colors correspond to different categories of victims. Our goal is to bring together the local Grand Junction community with the Colorado Mesa University academic community to focus on the issues of education and diversity within our overall community. 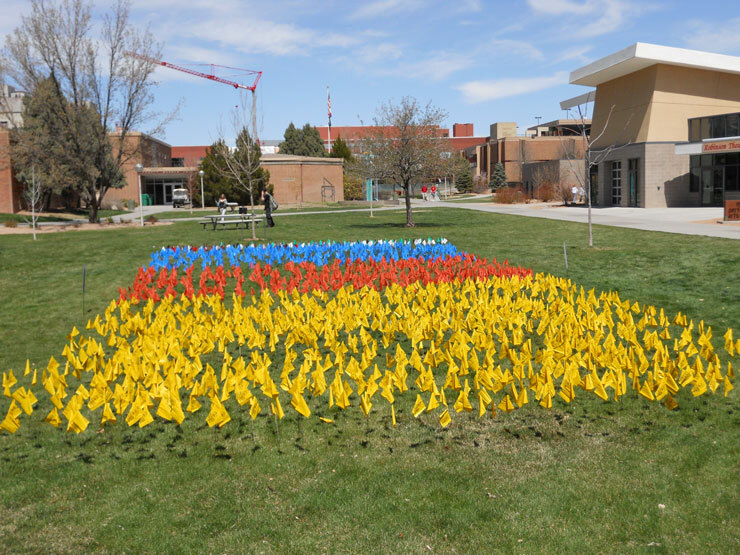 The Field of Flags display on the main academic quad is a cornerstone of our commemoration. The display presents flags that represent the many different groups targeted during the Holocaust. All of these events are free and open to the general public. For more information, contact Dr. Vincent Patarino.